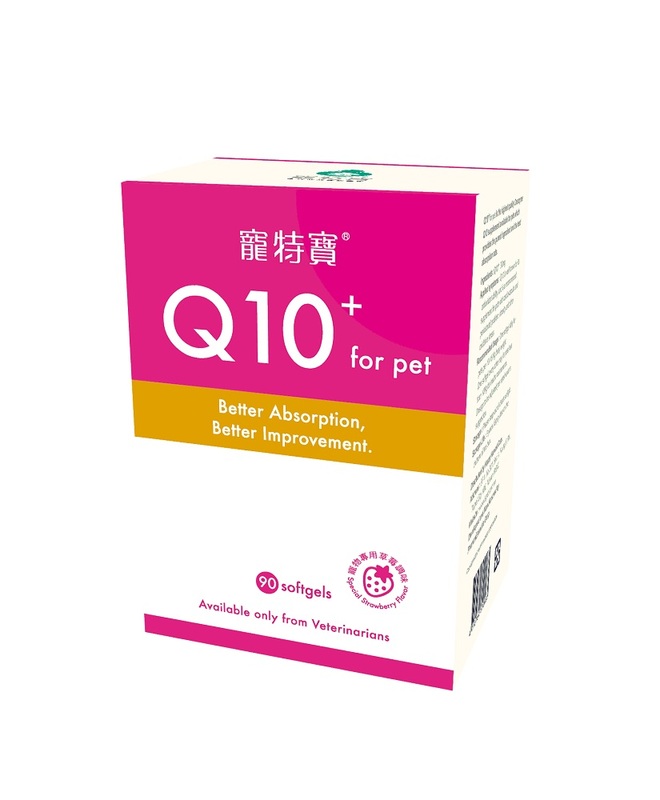 Coenzyme Q10 is a cofactor in a number of energy-producing reaction and is well-known supplement for pet with cardiovascular disease. 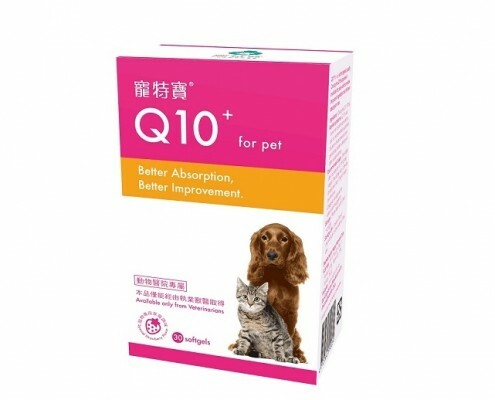 Coenzyme Q10 is also an antioxidant to against oxidative stress. 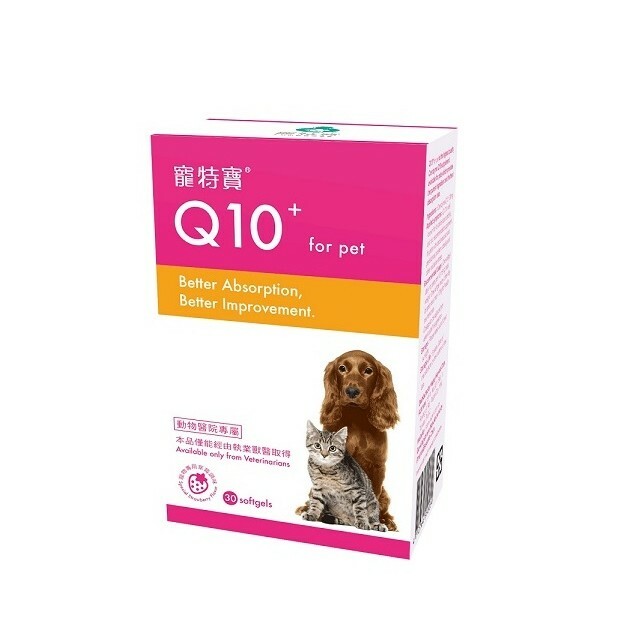 Q10+ for pet use unique technique to significantly increase absorption rate and bioavailability to bring the best effect. 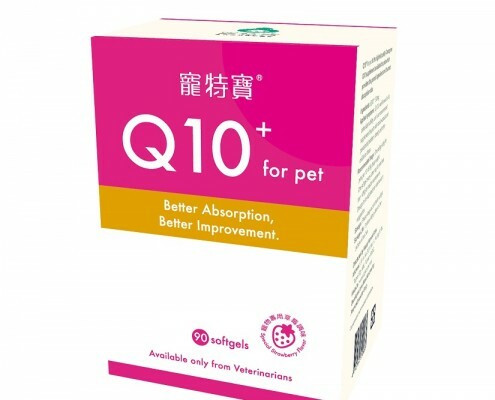 Direction for use: One softgel daily for dogs per 10~15 kg body weight. Or use under the veterinarian’s instructions. CoenzymeQ10 is an important energy catalyst that functions at the level of the mitochondrion for cellular ATP generation. CoenzymeQ10 also possesses anti-oxidant properties, and is cardioprotective, shielding the heart from the toxicity of Adriamycin chemotherapy. Coenzyme Q10 is also helpful for patients with congestive heart failure, periodontal disease, disorders of the immune system, diabetes, obesity, oxidative stress, and cancer. 1. Better Bioavailability : Unique hydrophilic technique increase absorption rate. 2. Better Purity : Confirmed by USP Purity test with perfect result.